Preheat oven to 350 degrees. Line and 9-by-13-inch pan with foil or parchment paper and spray with nonstick cooking oil spray. Melt the butter in a medium saucepan over medium heat. 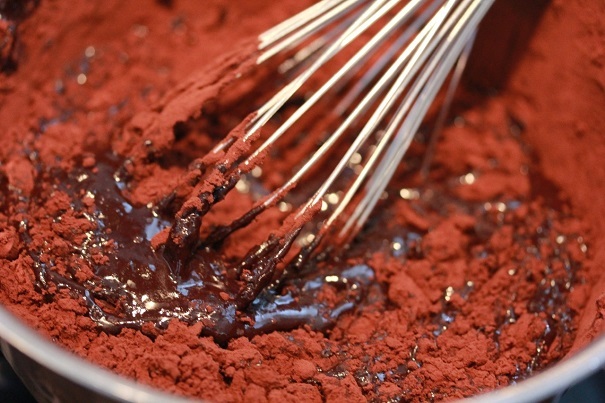 Remove from heat and add the cocoa powder, stirring to combine. Let cool slightly. In a large bowl, whisk the eggs together, then add the sugars and vanilla extract, stirring to combine. Add the cooled butter-chocolate mixture, then fold in the flour and salt until just combined; do not overmix. 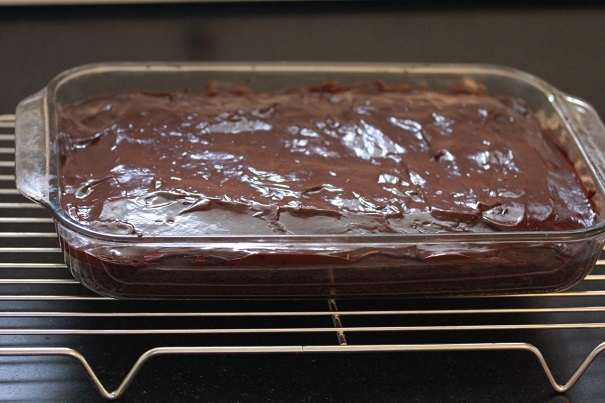 Spread the batter evenly in the pan, making sure the corners are filled. 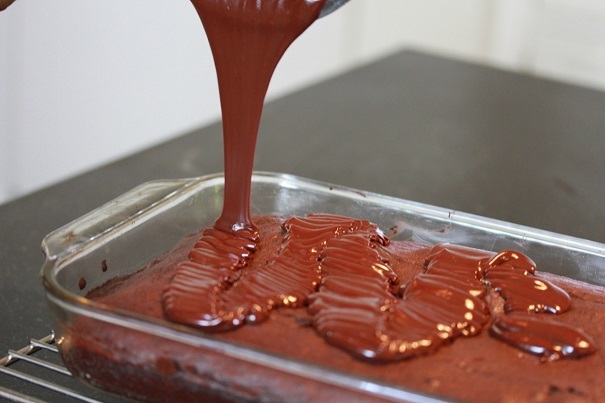 Transfer the pan to a wire rack; cool completely before cutting the brownies. Heat the cream on the stovetop or in the microwave until it begins to boil. Remove from the heat and add all the chocolate at once. 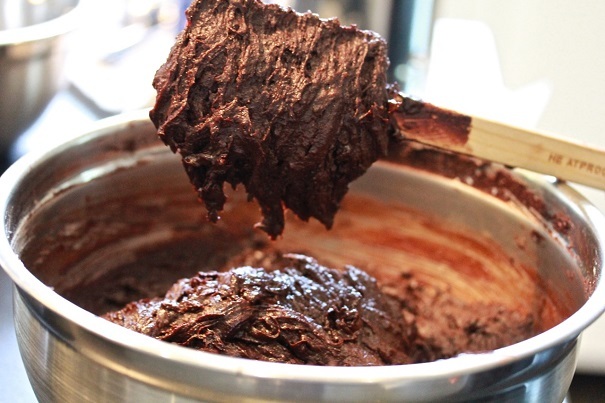 Stir continuously until the chocolate melts and ganache is smooth and shiny, then pour over the brownies.